Hearing Aid Prices - Learn How To Save Up To 40% Through Hearing Choices! Hearing aids come in a variety of brands, sizes, shapes and colours. They also come in many different prices and it can be difficult to understand why some hearing aids are pricier than others. In general, hearing aid prices start at around $1,300 for standard devices up to over $4,500 for the premium technology. Extra features such as Bluetooth streaming or rechargeable batteries may also affect the final price of the hearing aids. The cost of a hearing aid is generally based on the level of technology of the hearing aid, the more premium technology levels come with a more premium price. Depending on your lifestyle or your level or type of hearing loss you may or may not require those additional specialised features or technology. Click the logo to view prices of that brand. Hearing aid prices often reflect the amount of technology and programs available in the hearing aid. Usually, there is a tier system. While the tier name differs by brand, the system is broken down into different technology tiers. Standard technology hearing aids often have the most basic requirements of any hearing aid. But they also have the least amount of channels and extras than the advanced and premium tiers. standard tier hearing aids are the cheapest and price range begins at roughly $1,500 for many brands. Advanced technology hearing aids have the basic necessities of the standard tier, but also have additional benefits such as more channels and specific features, like noise cancellation and/or streaming sounds from a device to the hearing aid. Because they have extra features the prices are higher than the standard tier, roughly starting at $2,500 – $3,000. Premium technology has all the bells and whistles possible for that hearing aid type. They usually have a high amount of channels, programs, features, and technology. And they have powerful models to handle many technological programs. The premium technology hearing aid prices are higher because of these features, roughly starting at $3,500 – $4,500. At Hearing Choices we aim to provide up-to-date and relevant information about hearing aid prices, including whether more expensive means better, the different fits available, and looking more in-depth at the technological tier system. At the end, if you still have any questions, you can contact our professional team through live chat, telephone or email! By purchasing hearing aids through Hearing Choices you can save up to 40% compared to traditional hearing aid clinics. Your hearing health is our priority and therefore we offer a 45 day trial period and satisfaction guarantees for all our sales. 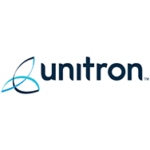 Unitron was founded in 1964 and has been blazing as a fast-track hearing aid and accessory business since. Originated in Canada, Unitron now has over 20 international headquarters to build high-powered hearing aids for all. 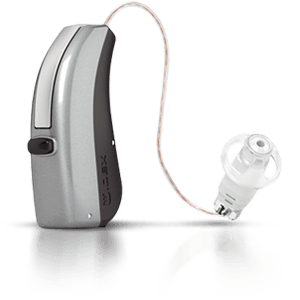 Below is pricing and tier information for the Unitron Moxi now hearing aids. Phonak has provided hearing aids and assistance to people with hearing loss for over 60 years. The primary hearing aids, Phonak Audeo , Virto , and Bolero series, follow a tier system. Each tier provides a certain amount of technological features. If you buy your Phonak Hearing Aids through Hearing Choices you can save up to 40% compared to traditional hearing aid clinics. Siemens developed a Phonopher hearing over 100 years ago, and has been creating new hearing aids and accessories for the hearing impaired since. They have built hearing aids for seniors, children, and teenagers to provide a better hearing experience all around. 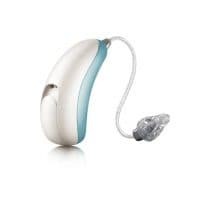 Below is pricing and for Siemens most popular hearing aid, the Pure. 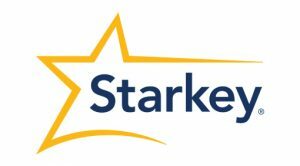 Starkey created the first completely-in-canal hearing aid and continues to lead the charge while they build new and improved hearing technologies. 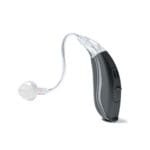 They’ve provided over 40 years of expert hearing aids and accessories. The most popular Starkey hearing aid is the Muse. The Muse is our top selling hearing aid from the Starkey range. As the sixth largest hearing aid and accessory manufacturer in the world, Widex provided the first ever 100% digital in-the-ear hearing aid over 20 years ago. 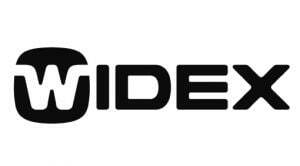 Widex works with well-known and premium audiologists, researchers, and specialists to create quality hearing aids. Below is pricing and tier information for Widex Beyond hearing aids. Founded in 1904, Oticon is the second largest hearing aid manufacturer in the world. Hans Demant, the founder, created Oticon to help his wife who was hearing impaired. Since then, they’ve spent over a century creating high technological hearing aids to help others. Bernafon strives to create effortless and efficient hearing for anyone who’s struggling. 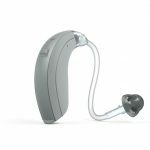 With hearing aids and accessories, Bernafon emphasises developing quality hearing systems and creating authentic hearing experiences. Below is pricing and tier information for the Bernafon Carista hearing aids. The Carista series focuses on eliminating obnoxious noises in order to focus on the sounds you want to hear most. Wireless allows you to connect to music players, GPS systems and more, to accurately hear exactly what you want for maximum happiness. 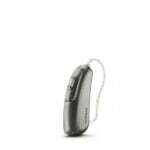 Below is pricing and tier information for the Resound Enya and LiNX² hearing aids. What hearing aid types and fits are there? The different kinds of hearing aids provide different styles as well. BTE are larger and more visible while CIC are almost completely hidden. But CIC will have less colour and design choices than BTE or RITE. Multiple kinds of hearing aids are available so you can choose a hearing aid style most comfortable for you. Hearing Aid prices start from roughly $1,300 for standard devices up to $5,000 for the top technology. Prices depend on the style of hearing aids, the technology level and the amount of aftercare included. 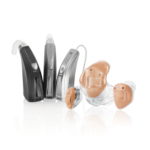 We’ve provided information about the best hearing aid brands on the market. Does a more expensive hearing aid mean it’s better? Not necessarily. Hearing aids become pricier based on the technologies packed within. For example, a hearing aid with several channels, frequencies, and additional programs will cost more than a simplistic hearing aid with very little programs. That said, if you don’t require additional programs and features, then a simple hearing aid would be perfect for you. But if you do enjoy additional features or need specific ones for your lifestyle (e.g a hearing aid that offers great wind noise cancellation because you work primarily outside), then a hearing aid with more features may be necessary. The better hearing aid is the one that fits your lifestyle. This is specific to you, your choices, and your requirements. 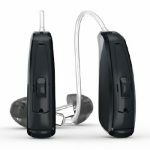 Below are a couple examples of basic, moderate, and expensive hearing aids based on how much technology and programs available. While one brand or tier is not above the others, you will be able to see which one fits your needs better. Choosing a hearing aid can be daunting. At Hearing Choices we’ll provide you with independent and unbiased advice about the best devices on the market today. Our prices are the most competitive in Australia and we work with a network of endorsed clinics who can provide a face to face consultation and fitting. Simply fill out the form and a hearing consultant will be in touch shortly. Do you already have hearing aids? How old are your hearing aids? Are you looking for a new pair of hearing aids? Did your doctor recommend you to get hearing aids? Premium Hearing Aids Start From Around $1,300 per device. Are you able to make this sort of investment?